Whilst many of us can enjoy playing blackjack online at a variety of casino sites, it’s usually only when we’re actively playing against other opponents that we really get to use our imaginations and show some real blackjack skill. The simple fact of having a human opponent can do much in raising adrenaline levels in a game, and as such, it’s the real-life blackjack tournaments that can often produce the most dramatic and adventurous styles of blackjack. The upcoming Gibraltar Blackjack Tournament should provide a classic example of this. 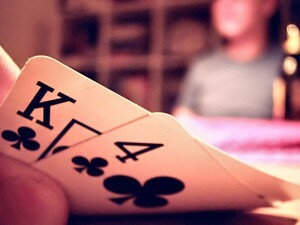 By providing a glamorous environment in which the players can focus on the game in hand, it’s expected to produce some fantastic blackjack when the main event takes place on 14 November. Already there have been three weeks of qualifying taking place at the LadyLucks online site, and the gameplay has highlighted some impressive techniques. Week one saw the aggressive playing style of Richard C book his place in the final by taking home £1,311 and he’ll be looking to replicate that performance within the chic confines of the Sanborn Yacht Hotel next month. And week two provided Flexer with the opportunity to showcase their commanding blackjack technique to win an impressive £1,100. However, it’s not over yet as there are still two weeks’ worth of qualifying to take place, and as such it’s expected that we’ll be seeing some great examples of blackjack being played. The third week of qualifying is already underway and has seen Mazza1231 race ahead with £825, with the likes of Thanks4it and Matt C. lagging behind with £248 and £239.50 respectively. And with the fourth week’s qualifying taking place next week, it’s providing one final opportunity for anybody who values their blackjack skills to get involved and join in this prestigious competition. Beyond the impressive winnings of the qualifying rounds, the actual final should provide the perfect showcase to watch some top blackjack players in action. They’ll be given more than enough incentive with the winner gaining a guaranteed £5,000 out of the generous £10,000 prize pool, and although there’s no failsafe blackjack method, it’s suspected that a few of the competitors will be taking a leaf out of Henry Tamburin’s respected blackjack book. Above all, it’s about not getting distracted by your opponents. And although the prize winnings and the all-expenses paid nature of the trip to Gibraltar may provide an extra shot of adrenaline, when it comes down to the crucial evening at the gaming tables, it’s the player’s skill that will determine who will become victor at the Gibraltar Blackjack Tournament.